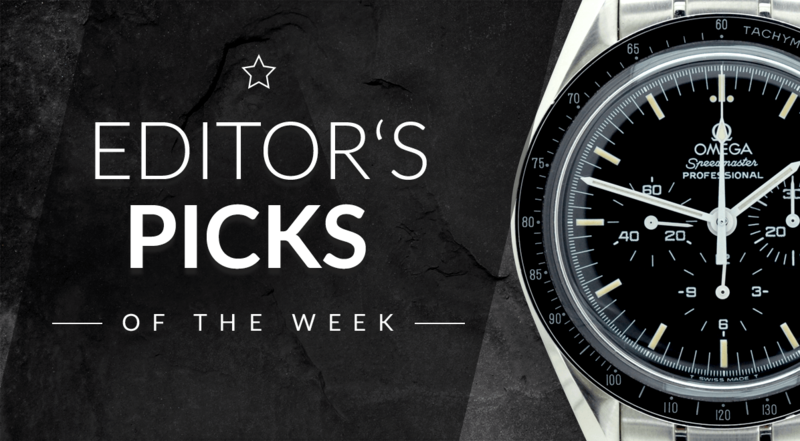 Alpina is not a brand you come across very often in the Chrono24 Magazine – until now, that is. Watch fans often look at them as the “little brother” to Frederique Constant. Indeed, Alpina belongs to the same group as the aforementioned brand. However, they offer a large variety of their own watches, some of which are worth a second look – even for picky watch nerds. Take the Alpina Startimer Pilot Manufacturer, for example; it has a great vintage-inspired pilot watch look (as the name would suggest) and a great in-house movement. While the design is rather vintage, it also has modern elements that make the watch look contemporary. The caliber is the same one Frederique Constant uses in the FC Slimline. Thus, the Startimer is more expensive than the regular automatic model, which features a Sellita movement. The Alpina Startimer is a great blend of vintage and new with a touch of in-house exclusivity. A few years ago, Rado caused some waves when they released their Captain Cook re-editon. A lot of people only heard about the original model at the time of this release. Those vintage watches are extremely hard to come by, but this new model is readily available in shops everywhere. It is an attractive diver’s watch and a true successor to the original Captain Cook. Rado, which has mostly been known for their ceramic watches in the last decade or so, did an amazing job with the Captain Cook. It is a quality timepiece with tons of character and gear wearability. The size is 37 mm+ which is surprisingly “small” for a modern timepiece, but perfect for a vintage re-edition. While Rado also released a modern larger version, we have to go with the 37-mm watch. The Rado HyperChrome Captain Cook shows that smaller Swatch Group brands can and will come out with interesting watches from time to time – we just have to stay tuned. The Blancpain Fifty Fathoms is a legendary dive watch; almost as legendary as the Rolex Submariner, the Doxa Sub 300, or the Panerai Radiomir. As is often the case, the Fifty Fathoms was created by Blancpain after a request from the military. In this case, it was the French navy that wanted to supply their frogman team, Les Nageurs de combat, with a watch. Blancpain created a timepiece that was automatic, had a large unidirectional rotating bezel with a diving scale, and a large case. The watch had to have great water resistance, too. The Blancpain timepiece achieved that with a rating of fifty fathoms (1 fathom is roughly 1.8 m), an imperial unit used to measure depth. This gave this legendary watch its name. The watch has since become an icon and the single most famous watch ever to be created by Blancpain. Over the years, the brand has released many different versions, yet the simple 3-hand version with its large black bezel and tile-like icon on the top is the one many consider the “original” Fifty Fathoms.